…..Aren’t those hot cross buns? Yes, I am pretty sure they are Hot Cross Buns. Tescos must have ordered in too many and decided to repackage them in the hope of selling them off to unsuspecting customers. 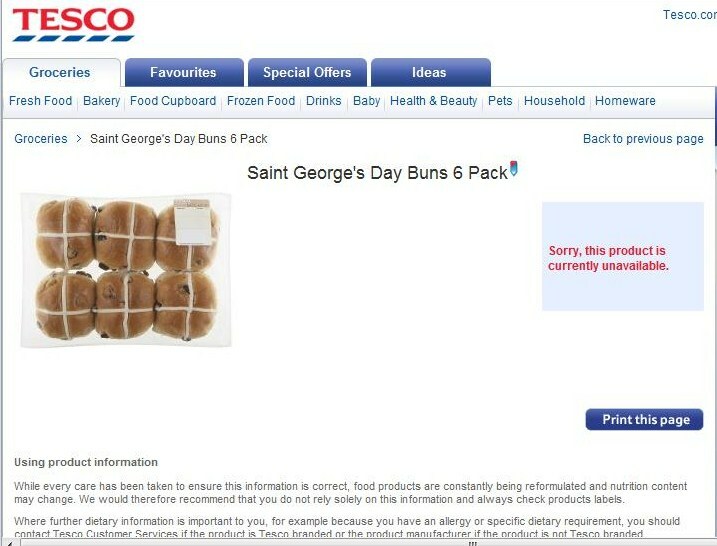 I wont be buying any – but I didnt buy them when they were Hot Cross Buns either! Every little is supposed to help apparently. But whilst it used to be one a penny two a penny, the cheapest Tesco offers are a quid for 6. The ones I saw had red crosses on them, it looked like red plastic strips.